Getting noticed on the internet comes with a long list of challenges, but so does getting noticed from the street. 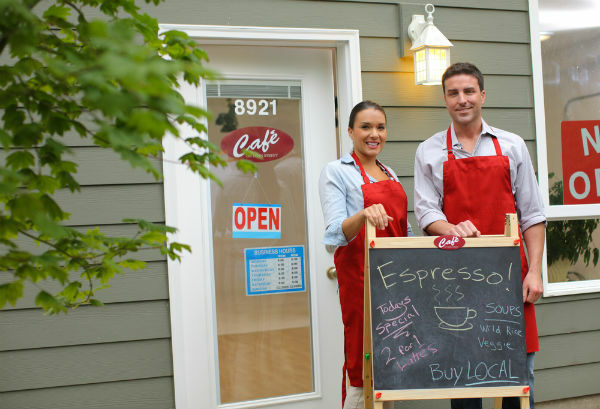 Having a brick and mortar store should make increasing your bottom line easy. People who don’t know you exist can wander into your store when they drive or walk by. But, that’s assuming they’re interested enough to walk through the door. Just like you have to design a website for your business, so too do you have to design ways to get people interested in walking into your store for the first time. Promotional signage is a great way to get attention for your store, but it is important to choose the right kind of signage. For example, spinning signs are eye-catching, but they are nearly impossible to read. Instead, create custom feather flags with a current promotion and people are sure to come in for a closer look. Get Creative with Your Displays. Displays are key to brick and mortar stores. Unfortunately, most businesses aren’t very good at designing displays. They end up designing a display they think looks good, but it isn’t necessarily designed with marketing in mind. Creative displays will always get noticed over boring displays that feature a few mannequins. Think bold colors, feature your newest products, and choose unexpected elements that cause people passing by to lean in for a closer look. If you really want to be bold, create a moving or interactive display. You could get a lot of attention by having live models in your display during high-traffic times! Use QR Codes in Your Displays at Night. A wonderfully designed display can beckon people into your store during the day, but they are also sure to get noticed at night. Unfortunately, people wandering by after you’re closed are likely to appreciate your display without actually taking action. After all, they can’t wander into your store when the doors are closed! That’s where QR codes come in. These digital barcodes can connect passersby with your company, even if you aren’t behind the counter. Include them in your displays so people wandering by can quickly scan them to learn more about the items in your window. You can also customize your codes so that they can make it easy for people to buy items from your store, even if they are wandering by long after the sun has gone down. It’s true that showcasing your products is the best way to decorate the inside of your store, but what about the outside of your store? Flags were mentioned earlier, and they are a great way to decorate outside, but you shouldn’t stop there. Consider hanging fliers, posters, and other decorative elements outside your storefront. Folding signs are an option, as are product cards and even sample and freebie tables. If your storefront has a bit of green space, consider doing some landscaping. Flowers can really brighten up the exterior of your store, and they can prime people to do some shopping. Flowers have been shown to increase happiness levels, which can encourage people to spend a little money. Get out on the Sidewalk. You ultimately want people to come into your store, but sometimes that means stepping foot outside your store. You can do that with flags and decorations, you can do it by decorating displays and hanging signs, but don’t forget to look below your feet. The sidewalk is a great way to attract people to your store. Special deals and sales can be written on the sidewalk directly outside your store as a way to encourage people to come inside. A welcome mat can make your store seem more inviting. Utilize the sidewalk as a sort of yellow brick road to your store. Write arrows on the sidewalk that point in the direction of your store, or sprinkle something, like flower petals, in a trail to your door. A little creativity can go a long way. One company even figured out how to display ads on the cement only after it rains! Unfortunately, having your products in the window isn’t enough if you want people to enter your store, but that doesn’t mean you can’t have a little fun getting new customers! With the creative tips on this list, you are sure to attract attention to your storefront.